It seems difficult to turn on the news these days without hearing about Bitcoin or blockchain technologies and how they are going to change the world. Many industries are being turned head over heels, including the coffee supply chain. So, what does the blockchain coffee supply look like? For those of you unfamiliar with blockchain, it is a way to keep reports about transactions on a bunch of computers at once. Because these records are distributed and verified across many computers, blockchain technology is both very visible and very secure- by trying to change a record on your computer, all of the other computers will realize the error and not allow it. It is for that reason, and for its ability to eliminate middlemen that many people are talking about how blockchain technology can change the world. When the buyer and the seller can meet directly in a trustworthy and transparent environment, going from individual to individual rather than through companies or governments, it is set to be a game changer. Since the coffee supply chain has notoriously horrendous parts despite coffee being so popular, it makes sense to blockchain coffee from the groundfloor up. Although blockchain coffee is still in its infancy, there are many startups attempting to utilize them to change one piece of the world or another. 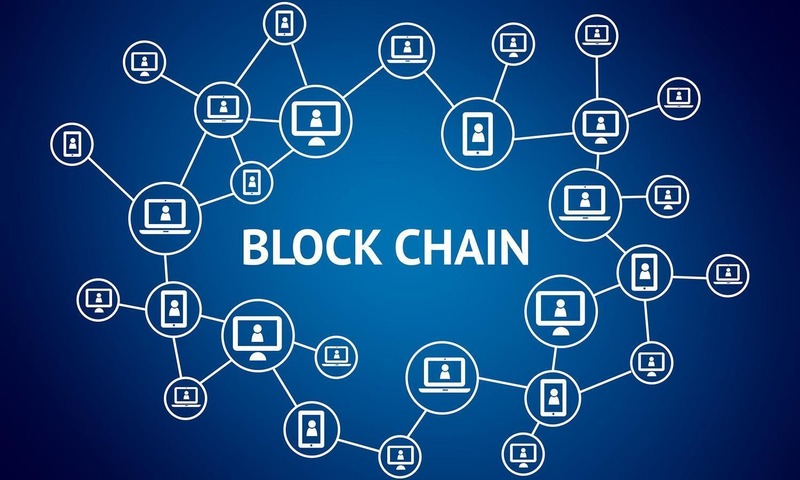 And, with the coffee supply chain being notorious for paying horrible wages or mixing in bad coffee where there should be good, the industry seems ripe for blockchain to influence. Bext360 is a new startup attempting to do just that. Imagine if you could know for a fact which farmer harvested your coffee and how much they were paid. Imagine if you knew it’s exact harvest date and that there were no mix ups with the beans. Imagine you knew exactly how and when it was roasted, and if donations were being made through your purchase to fund any causes. Bext360 aims to make that a blockchain coffee reality. We have written in the past about how the fair trade certification process works with coffee and some of the other problems are being addressed by third parties, but believe it or not there are both pros and cons to that path. Bext360 can fix all of those negatives, they can make lives easier for everyone through their innovative combination of hardware, artificial intelligence, and blockchain. We could see improvements from everyone from the farmer trying to receive payment without a bank nearby; to the coffee suppliers trying to verify their shipments; to the consumer who wants a fantastic cup of coffee. Will everyone need all or use all of that data all of the time? But by having it there and accessible and transparent, we will be able to make gains that would have been impossible otherwise. This level of transparency can benefit everybody involved from the farm to your mouth, and should you ever be curious *BAM* the information is right there. Do you want to know how the roast was so you can try and duplicate it? Did you have a sudden pang in your heart wondering if your farmer is living at near slave level wages? Does something taste off and you want to know if it was the bean quality they began with or if the barista spit in your latte? It would all be there (minus the spit- that would be from your own deductions). What do you guys think? Is this blockchain thing for real? Would you like it if Match Made Coffee’s subscriptions were able to easily provide that level of detail for our coffees and snacks?